Tired of the hassle and long lines at the airport terminal?  When you book a charter flight with us, you will quickly realize the advantages and luxuries that come standard with Basin Aviation. Our aircraft charter service offers safe, fast, and reliable service to destinations in the US, Canada, Mexico, Caribbean and Central America. Our Lear Jets and King Airs are state-of-the-art and provide luxuries, performance, and comforts that you deserve. Whether you live in Midland, Odessa, San Angelo or beyond West Texas, we'll pick you up at the airport of your choice and get you to your destination on time and hassle free. King Air (Turboprop - up to 7 passengers) Learjet (Mid-Size Jet - up to 9 passengers) No Preference / Don't know?